I was away from my house for three days. 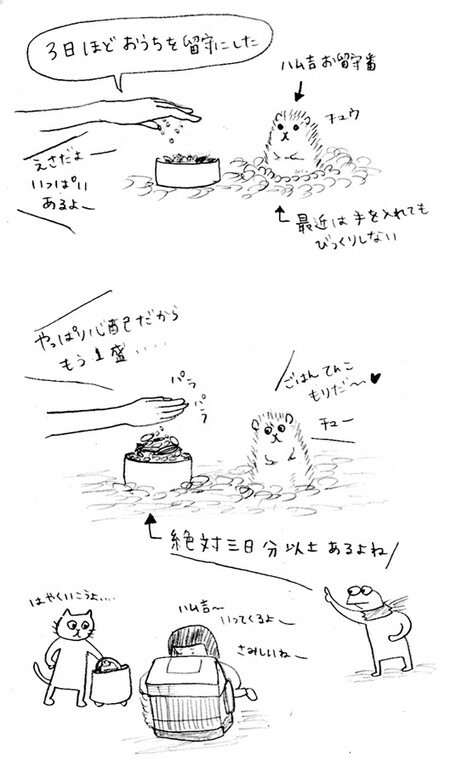 So I gave Hamu-kichi(my hamster) a lot of food but I felt it wasn't enough (actually it was more than enough). I feed him twice, and his food box shaped like mountain!! Frog : ha! It is more than 3days food! Yuki : (talking to Hamukichi) I'm going to leave. I'll miss you~. 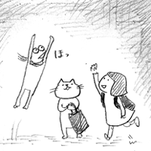 Nyankichi- Sensei : hey, hurry up!